If you need roof replacement in Huntsville AL or nearby cities, you can trust Thompson Roofing and Construction with your roofing project. Thompson Roofing and Construction has over a decade of experience specializing in metal and asphalt shingle roof installation, repair and replacement. If your roof is getting old, and you have to keep making repairs to prevent leaks, it may be time to have your entire roof replaced. 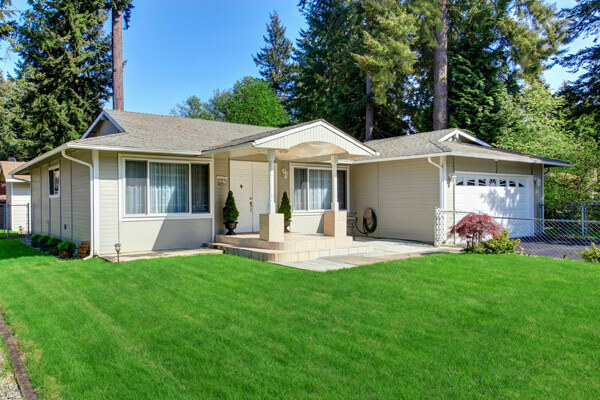 We can do a complete replacement of the roof system, which involves tearing off of your existing shingles and replacing them with new shingles or we can re-cover the existing roof. We will advise you on the appropriate solution and always have your best interest in mind. You can count on us to complete your project on time, on budget and to your complete satisfaction. Thompson Roofing and Construction is fully insured, licensed and certified. Our team of roofing experts is highly qualified to install and replace your old roofing system with top-of-the-line roofing materials from GAF; the top shingle manufacturer in the country. We are proud to be a local GAF Master Elite Certified roofing contractor and have been comprehensively trained and certified to install all GAF roofing systems. This certification places us amongst the top 3% of roofers in the country and allows us to offer warranty options for GAF roof systems. 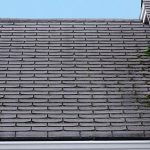 A roofing contractor that is not certified by GAF cannot honor your warranty should a problem with the materials or the installation of your roof occur in the future. 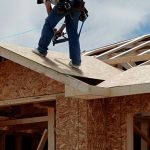 When you hire us, you will have a sturdy and beautiful top-quality roof over your head with peace of mind and additional protection for decades after our work is completed. If you are looking for a reliable contractor to provide a reliable roof replacement in Huntsville AL, then contact us today by calling (256) 952-3309 and request a free estimate. In addition to free estimates, we also offer affordable financing options. You can also fill out our convenient online contact form while you are here on our website. If you are experiencing issues with your roof, we are here to help every day of the week. Do not wait to call us at (256) 952-3309 so we can help with your roofing problems as soon as possible! Our team is certified, insured and licensed to assist with any type of roof repair in Huntsville, AL and the rest of the Tennessee Valley. Our service crew has more than a decade of experience in the repair and restoration of asphalt shingle and metal roofs. We are known for our quick response times, efficient turnarounds, and affordable prices. When we do a repair job, we take careful measures to contain the problem and prevent further structural damage while minimizing disruption to the rest of the home. We’re equipped to address everything from small leaks to severe storm damage. We always do whatever we can to spare clients the expense of a reroof or total replacement. This is doable within reason, depending on the age of the roof and the scope of repairs. Should the damage take place in the middle of a severe weather event, we’ll send an emergency crew over as soon as possible. Our technicians will assess the damage and, if conditions allow, install temporary protection until the weather clears and permanent repairs can be made. In every repair job, we work hard to bring your roof back to normal quickly and efficiently. Our goal is to do the job right the first time so you can enjoy complete peace of mind and focus on the things that matter to you the most. We are a GAF® Master Elite Certified Roofing Contractor with an A+ rating from the Better Business Bureau. Whatever the size of the job, you can count on us to deliver the best quality, best service, and best value. Get your Roof Repaired today! If your roof doesn’t seem to be working properly, don’t wait to get it inspected and repaired! Get in touch with us today at (256) 952-3309. We are available from 7 AM to 7 PM, 7 days a week. We offer competitive pricing and affordable financing options through GreenSky®. You can also send us your estimate request by completing the form on the right side of our website. We have over a decade of experience installing a range of siding materials on homes throughout the Huntsville, AL and Southern Tennessee area. If your siding is getting old, and you have to keep making repairs, it may be time to have your siding replaced. If you aren’t sure whether you need new siding, then you can always contact us for a no-obligation inspection. 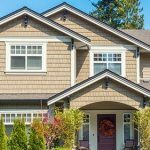 Thompson Roofing and Construction can increase your home’s curb appeal and make it more energy efficient while reducing time spent on maintenance and associated costs. We can install beautiful siding that is durable and resistant to the elements. Advances in siding allow you to reduce your monthly energy costs by creating an insulating barrier between conditioned indoor air and outdoor air, resulting in less heat exchange and less energy needed to heat or cool your home. Our siding solutions mean that you no longer have to scrape or paint wood shingles. All you ever need to do is clean our maintenance free siding with a garden hose. Each siding type comes in a wide range of colors and finishes allowing you to create the look you want for your home and match it with complementary colors of windows, trim, soffit, and the roof. At Thompson Roofing and Construction, every member of our experienced team is fully insured and licensed. 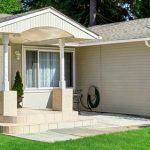 Our team of siding experts is highly qualified to install and replace your old siding with top-of-the-line materials from the best manufacturers. You can also count on us to finish your siding project on time, on budget and to your total satisfaction. We believe we offer the highest quality siding options for your home. If you are looking for a reliable contractor for siding in Huntsville, AL, then contact us today to get a free consultation on your siding project. You can speak with an expert right away when you call (256) 952-3309. Alternatively, you can fill out our convenient online contact form right here on our website. In addition to free estimates, we also offer affordable financing options. 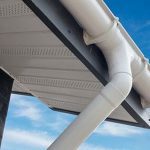 Make sure your gutters are ready to protect your home from the elements. Contact us for a free estimate today by calling Thompson Roofing and Construction or completing our online quote request form.